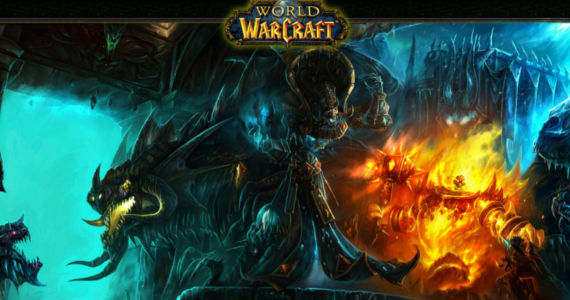 As Source Code director Duncan Jones readies his video game adaptation Warcraft to begin filming in January 2014, a steady feed of information about the film has been released - far more than some other blockbusters opening in late 2015. Test footage was teased during Comic-Con, Vikings star Travis Fimmel's casting has been confirmed, concept art and plot details have emerged, but besides Fimmel, at this point it's not clear just who else will be joining the cast. Paul Dano (Prisoners), Anton Yelchin (Star Trek) and Anson Mount (Hell on Wheels) are said to be on a shortlist for supporting parts, with Paula Patton (Mission: Impossible - Ghost Protocol) and Colin Farrell reportedly offered leading roles.
" 'Warcraft'? Don’t know what’s happening, man. I read the script, if that’s any use to you, and it’s amazing." "Yeah, he’s cool. Duncan was cool. I sat with Duncan for awhile and read the script, loved the script, and we was as cool as can be. I don’t know what’s happening with the film. I don’t know where they are in the process." So this definitely confirms the talk that Farrell has been approached to star. During the recent unveiling of some of the concept art at BlizzCon, Duncan Jones was asked if he had his actors. His response: "Yup!" Is Farrell being cagey? He's known for being fairly open and direct in this kind of interview, so he really might be as in the dark on the Warcraft pre-production. "Not at all, no. The script was just really, really cool, and it’s just a world that I never explored — and it’s a really big and fantastical world. I can’t imagine what he, being as visually gifted as he is, Duncan, and what he did on 'Moon' with, like, a dime, I can’t imagine what he’d do with this 'Warcraft.' "
And the million dollar question: Can Farrell talk about what role he was offered? "Can I? I probably shouldn’t. I don’t even know, actually, I’ll just say that! I don’t even know. We were just talking, and Duncan just said, 'There might be something in it for you! And I said, 'Catering?' [Laughs]"
While we know the basic plot of screenwriter Charles Leavitt's storyline - "It’s the story of Anduin Lothar versus Durotan, Human and Orc heroes from the original real-time strategy games" - previous plot rumors indicated that the wizard Khadgar and his mentor Medivh would be central characters along with the warrior Lothar. It's likely that Farrell actually has a pretty good idea of which role Jones and company want him for, and given the solid - but not quite A-list - caliber of the talent sought for the supporting roles, Farrell is probably circling the lead human role... unless the filmmakers decide to throw a curveball and make him an orc. Expect casting updates and hard confirmations soon with the start date of production so close at hand. Warcraft is scheduled to be released in December 2015.